Tornadoes can be devastating natural disasters. One day, a neighborhood, or even a whole town can be going about business as usual, and in a few fateful moments, everything change. While much of this is also true about hurricanes, there is one important distinction of the two. With a hurricane, you almost always get some warning time. At the time, Houston’s postulation was in the context of a 2014 election where Paxton basically hid from voters as soon as he had secured the Republican Primary nomination. And of course today, we are finding out details for why he felt it best to keep quiet. 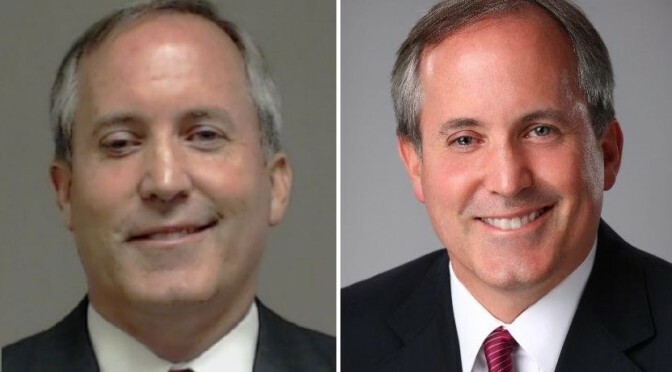 Attorney General Ken Paxton turned himself in to the Collin County jail this morning and was arrested on two felony counts of securities fraud and one felony count of not registering as an investment adviser, according to public records. He was quickly released after his arrest. His total bail was set at $35,000. Indictments signed last week and unsealed today say that in July 2011, Paxton “engaged in fraud” by selling more than $100,000 of common stock in Servergy Inc. to both Byron Cook and Joel Hochberg without disclosing that he would be compensated for their purchases or that he had already been paid with 100,000 shares of the company. A year later, Paxton allegedly “rendered services as an investment advisor representative to James and Freddie Henry” without being registered with the state’s securities commissioner. That third charge — failing to register as a financial agent — is an action to which he has already admitted in a civil proceeding. GOP leaders had been virtually silent so far about supporting Paxton, who was elected in November after serving Collin County as a state senator. 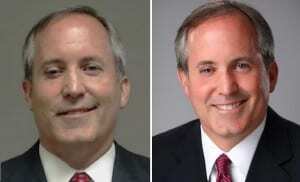 Mr. Paxton is only the 2nd high profile Texas Republican to be indicted this year. At some point, voters will be forced to draw some uneasy connections. As a current elected official, how will the Paxton indictment resonate to other politicians? Lest we forget, the Attorney General wouldn’t be where he is today without the firm endorsement of Senator Ted Cruz early in his primary campaign. If there is any possibility of more widespread ramifications, this could lead to big trouble in state government. And of course, there is that whole business of our state needing an Attorney General that is capable of doing their job without having to worry about going to jail. In any event, state Republican leaders would have to be kidding themselves to see that this event does not have an effect on their future. Perhaps they should call for the AG’s resignation?? Texas Leftist will be watching to see how this shakes out. In the world of Texas political hurricanes, an arrest and indictment are nowhere near the eye of the storm. The picture to the left is Attorney General Ken Paxton’s mug shot via Collin County jail. On the right is an official photo from the AG website.